Mathematics is one subject that suffers negative feelings from its learners. Numerous studies have recorded the number of students who dislike mathematics, suffer from a phobia or show symptoms of mathematics anxiety. The same studies also try to enlist the causes for such feelings. Each one points to ‘the way that mathematics is taught’ to be the major cause of such negative emotions. So it is the teacher/s or the caregivers who have a major role to play in deciding how a child feels about mathematics. Many studies also point out that the dislike for mathematics begins during the middle school years. The book that I am going to talk about presents the story of a teacher (Channakeshava) who believed in making mathematics interesting for his students. This book is written by Channakeshava’s student who reminisces about how his teacher presented mathematics as an adventurous and exploratory journey that unfolded over centuries of human evolution rather than as a set of mindless procedures to be learnt and practiced. The story of the student and his teacher is replete with many interesting and captivating anecdotes from the history of mathematics. The author has painstakingly brought together anecdotes from his classes and classmates, stories, patterns, puzzles and paradoxes from the history of mathematics to keep the reader engrossed. 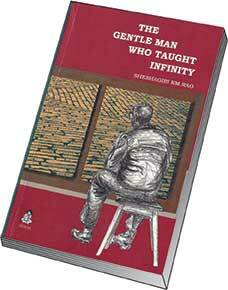 The book is a repertoire of interesting stories, many from the history of mathematics and many from the modern times. There is the story of 10 year old Guass, the famous German mathematician, who outsmarted his teacher by adding the first 100 natural numbers in a jiffy. Another intriguing story relates with the writing of Lilawati, a mathematical treatise written by Bhaskaracharya II in 1150 CE. The author also presents a problem from Lilawati (p.57) which his teacher used as an introduction to the use of quadratic equations. The relevance of Euclidean geometry and its axioms have been explained. How non-Euclidean geometry expands our canvas from a plane to the space and how the postulates for a plane do not hold true for the space have also been discussed. Euler’s solution to the Konigsberg seven bridges problem, the Four-colour Problem and Barber’s paradox has also been explained in the book. The story of the centuries old Fermat’s Last theorem that was finally solved by Andrew Wiles in the 20th century has been mentioned. Many concepts of mathematics that are taught in the middle school years like matrices and logarithms have been explained lucidly along with a glimpse of their history and the need for inventing them. Mathematics has been presented as a human endeavour; something that arises from human hopes and fears. The author’s aim seems to be to arouse curiosity in the reader (teacher and the students) towards uncovering and discovering the beauty of mathematics. There is one story and there are many stories within it that the author has skilfully woven together such that the book is a delight to read. The book etches the role of a teacher in a student’s life and how a teacher’s impact lasts many lifetimes. The life story of the author who chose to become a mathematics teacher after completing a degree in mechanical engineering proves the point. The author also presents some stories from his professional life that shows how he practised his inspiration with children. The book has a section on some select mathematics problems titled, ‘Whet thy appetite: Channa’s 20’ covering the areas of geometry, algebra and coordinate geometry. As the name suggests these are interesting problems from high school mathematics that a reader can try out. Another section is on suggested readings that can be pursued by an interested reader. I would like to add two books to the collection. One, Imagination in teaching and Learning: the middle school years, by Kieran Egan. Two, Teaching Mathematics as Storytelling, by Rina Zazkis and Peter Liljedahl. I recommend this book be read by all teachers, (including in-service and pre-service teachers) of mathematics, teacher educators and all parents of school going children. If a teacher could share- read, some portions of the book with her class, it would be worth the effort. I enjoyed reading the book a lot because I could see reflections of my own journey as a student and as a mathematics teacher while reading the book. I am sure you too will be reminded of a teacher from your lifetime who made all the difference. The reviewer is a Research scholar with the Department of Education, University of Delhi. Her area of research is the Use of Storytelling as a pedagogic tool in the elementary mathematics classroom. Previously, she has been a mathematics teacher and mathematics teacher educator for many years. She can be reached at poojakeshavan@yahoo.com.